Quirky and clever, club-worthy to stadium anthems, heartfelt ballads to dreamy pop tunes, The Matinee ’18 December 6th edition has all this covered and more. It’s the gateway mini-playlist into the weekend, so turn up the volume and enjoy. 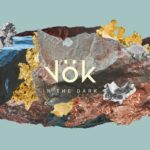 It wasn’t long ago that Vök created immersive and darkly cinematic electronic / post-rock music. They were akin to fellow Icelandic artists Samaris and JFDR. More recently, however, Margrét Rán (vocals/guitar/keyboard), Andri Már (saxophone/APC), and Einar Stef (drums) have changed paced and headed towards more illuminating pastures. 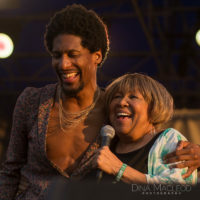 Their last single, “Night and Day”, revealed a more electrifying, dance-oriented track, and they continue down this path with “Spend The Love”. Get transported back to the mid-’80s and the age of synth-pop with this highly contagious track. It is a song made for the glittering dance clubs of New York City and Paris, of Tokyo and Sydney. For that matter, it is made for every New Year’s Eve party, as it will get people dancing. The beats bounce, the synths burst, and Rán’s vocals are seductive. While the trio’s music has evolved, their habit of writing meaningful stories has not. Don’t mistaken this for another love tune. Quite the contrary, it is a song about those individuals who have fallen and cannot get out of bed. It is about the people who have lost hope or are constantly “chasing the highs with lows”. She is the person helping them stand again, and in the process she’s helping them find love. Sounds like the perfect NYE song, eh? 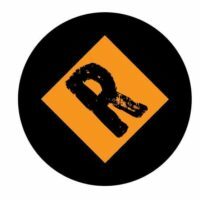 The trio’s new album is expected in 2019 via Nettwerk Records. If you are like us, you cannot resist one of the ’90s coming-of-age movies like Empire Records, Reality Bites, and Singles. Besides stories to which we can relate, these films possessed outstanding soundtracks. Each one had songs that were exhilarating and invigorating yet blissful and sun-kissed. 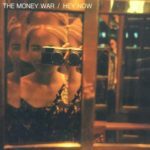 If you have no clue what we’re talking about or you want to re-live those moments, then Dylan Ollivierre and Carmen Pepper have the answer with their product The Money War and their single “Hey Now”. The Perth-based duo have crafted dream-pop perfection. It radiates with the dreamgaze of ’90s wunderkinds Pale Saints and Chapterhouse while weaving in the storytelling of the Gin Blossoms. Like these great bands, The Money War immediately floor you with a shimmering and breathtaking melody, and you’re left riding this gorgeous shoegaze wave. You’ll want to reach out and grab Ollivierre’s and Pepper’s hands and abide to their words, particularly when the former sings: “Let’s get out of her, find a new place. We’ve been holding on to all our negative ways”. Through this 171-secodnd trip, we trust that the pair will take us out of the darkness and into the light, showing us that better days are to come. It does sound like a ’90s movie, eh? Here’s hoping that someone will create an Empire Records for this generation. If that happens, this song has to be on it. Belgium’s indie scene is going through a bit of renaissance. Balthazar announced their return and will release a new album early in 2019. Meanwhile, newish bands are starting to get noticed, such as Pale Grey and MAUGER. 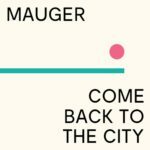 The latter consists of Matthias Debusschere (bass/backing vocals), Jan Duthoy (keys/guitar/backing vocals), Mauger Mortier (lead vocals/acoustic guitar), and Jakob Nachtergaele (drums/percussion). Their music is a cornucopia of influences, from Menomena to Future Islands to Foals to Arcade Fire. With this array of sound, surely they can be the country’s next big thing. Helping them get to these ambitious heights is “Come Back to the City”. This groovy, percolating indie-rock tune is reminiscent of the soothing rock tones of Broken Social Scene. The song is effortless, where every element feels like it is gliding through the air and spreading its glamourous sounds upon the denizens below. 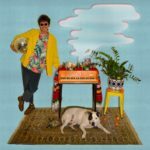 The pulsating rhythms and keys give the track its quiet urgency, and Mortier’s unwavering vocals keep the track intimate and real. His lyrics are akin to Win Butler, as he attempts to make sense of the surreal chaos that fills our lives each day. “I’ve been hear before, may have been a dream. Don’t remember when, it just disappeared. Their debut album is expected in 2019. It could be one of the new year’s biggest surprises. Joy Downer and her partner Jeff have only released a handful of songs in their brief career, but they’ve demonstrated the ability to create infectious synth-pop and write really clever stories. For instance, “Stranger Places” includes references to The Lord of the Rings and other pop culture references while “Caught Under Your Spell” was a geography lesson (and about how love knows no boundaries). For their first original single of 2018, they change gears slightly yet still find a way to provoke. “Plastic Wrap” tinges with the low-key, alt-pop of Suzanne Vega and the subtle edginess heard in Karen O’s solo work. When these two elements are merged with a slightly dark yet titillating approach, the result is one seductive, head-nodding, and mysterious affair. Call it post-punk synth-pop, dark indie-electro, or pop-noir, but whatever its categorization it’s one stupendous effort. As delightfully haunting the music is (the synth work is great and the quietly piercing guitar is a tremendous addition), Downer’s lyrics further petrify. What makes her words spine-tingling is that she is describing reality and not creating a piece of fiction. She tackles head on our addiction to all things material and how the objects we have define who we are. As she says, “You are mass-produced, you are store bought”. Downer, though, is one of a kind. Creativity sometimes seems to be a lost art form in the musical world, but only if you’re depending on the radio to give you something interesting and new. And forget about quirky, whimsical, and imaginative. You won’t hear that while streaming the various iHeartMedia radio stations. But if you’re willing to make the effort and keep an open mind, you’ll find a tune that will make you smile, laugh, and feel in a state of bliss. This is what Jonny Kosmo achieves with his new single, “Parrots of Highland Park”. The funky, psychedelic, disco-pop approach is what a Tame Impala tune would sound like while consuming a crate-full of magic mushrooms (not that we would know). It is wonderfully hazy and trippy, yet the melody is gracefully smooth and radiant. Kosmos’ storyline is even more of a hallucinogenic experience, as he tries to understand why the parrots in his neighborhood devour the shingles on his roof. Now this is the first time anyone has written such an irrelevant but entertaining story. Because the parrots hang around, they learn Kosmos’ name and, well, the psychological adventure starts. You’ll laugh at his expense, but for some reason we think Kosmos is laughing, too. His eponymous, debut album is out March 1st. If the LP is anything like this tune, we will be in for one crazily whacked experience. “The Future is Female” is a popular slogan, but in our opinions women’s future is now. 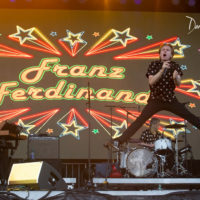 They are the present, especially when it comes to crafting the best and most refreshing brand of alt-rock and indie rock. Why this is isn’t a mystery – they’re more willing to take chances while writing provocative and establishment-shaking songs. 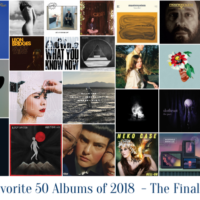 Another woman to include on this list is Julie Hough (vocals/bass) and her project HAVVK, which she shares with Matthew Harris (guitar) and Sam Campbell (drums). I can be the hero. Did you get what you get? Awesome. 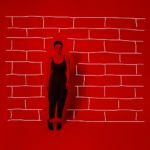 The single is out on Veta Records, and HAVVK’s debut album is expected some time in 2019. 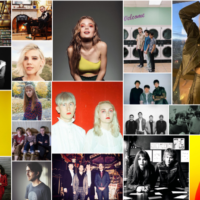 Open your eyes and ears because there is a new force emerging within the UK indie scene. And no, they aren’t Maroon 5 wannabes nor Ed Sheeran imitators (thank goodness!). 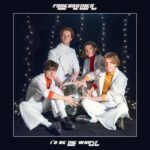 Instead, Farebrother are among a handful of “new” bands keeping the UK indie-rock scene fresh and invigorating, all the while ensuring it doesn’t deviate too far into the pop realms. Instead, they’re channeling the likes of A.M.-era Arctic Monkeys and Kasabian to deliver thoughtful stories told through widescreen anthemic rockers. Case in point: “I’d Be the Worst”. If the band released a video for this song, it would likely feature a late-night drive through the deserted streets of their hometown. The searing guitars and pulsating rhythms establish the dark yet intense soundscape while front man Tom Hunt’s vocals are filled with the desperation of man seeking to be found. As the story and song build, we become the protagonist and wonder why we didn’t stay the night. We wonder if she “made that call” whether things would have worked out differently. Listen carefully, and Hunt’s storytelling is terrific, and you’ll figure out exactly who you are and whether you are dead or alive. Tom Hunt, Michael Vowell, Matt Day, Owen Stephens are Farebrother. This is a band to watch. We have little to no information on Bedouin because everything we can find is predominantly written in Greek. We don’t even know where they reside other than in Alexander’s former empire. Then again, who needs background info when a band unleashes a psych-rock epic that belongs in the hallow tombs of The Brian Jonestown Massacre and Black Rebel Motorcycle Club? Seriously, “Submarine” does all the talking for this outfit. If you like gritty, surging guitars, stuttering drumming, and pummeling bass, you’ve come to the right place. This song will blow your mind. It is a sonic explosion of epic proportions, and the only way to listen to it is to turn up the volume. Turn it way, way up. Then bang your head like there’s no tomorrow and don’t forget to fire your best air guitar windmills. Although the musical content is outrageously awesome, spin the track again (or few times over) to hear what they say. They tell the story of a young man who is ready to sacrifice it all just for one last thrill. He wonders out loud, “Is there a wrong or a right?”, which in today’s world the lines between these two opposites are immensely blurry. If you head bang too viciously, your vision, too, might get blurry. The only difference is that it would have been worth it. 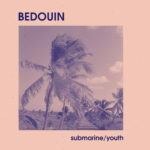 Bedouin’s new 7″ single will be released on December 14th via Inner Ear Records. Get it here. Sometimes, it doesn’t take a lot of words to express how one is feeling. Yeah, we’re sticklers for great stories, but then comes along a song that blows you away with the emotion that bursts in the vocals and the instrumentation. All you can do is bow in appreciation for the artist has delivered. 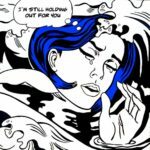 Sterling Fox has done exactly this through his project Baby FuzZ and the single “I’m Still Holding Out For You”. Imagine for a moment Ray Charles at the piano, Babyface on the microphone, and Prince on the guitar, and this is what Sterling has unveiled. It is a sumptuous cocktail of the intimate, piano-laced soul of the ’70s with the cinematic bliss of the ’90s. The piano melody leaves you numb while the lightning strikes of the chiming guitar leave you paralyzed. Fox’s desperate voice sends chills down your spine, and his lyrics bring you to your knees. He hollers out into the dark depths of the moonless night to someone he has just lost. It might be a lover, a friend, or a child, and he longs to see them return. It is a love song that will you aching if not a little teary. And my heart will still be beating for you. Fox’s full length album, Plastic Paradise, is expected February 2019. The young man is a chameleon at his craft, so expect a record full of surprises.